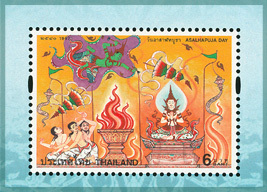 Purpose : To pay homage to the Lord Buddha and to publicize the important Buddhist Religious Day (Maghapuja Day). 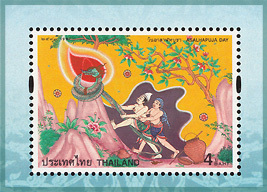 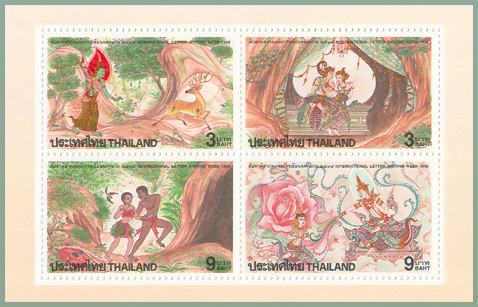 Designs : Illustrate the drawings which won the prizes in the postage stamp drawing competition of International Letter Writing Week 1994, the Ten Jataka Stories Series. 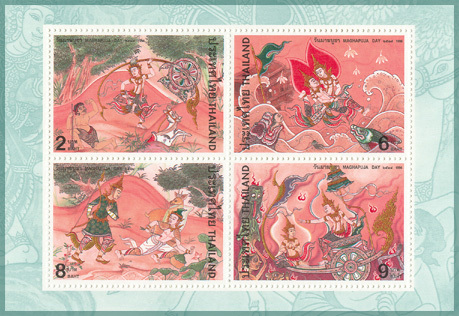 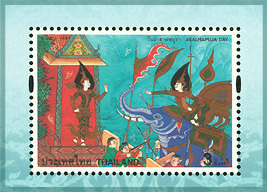 Designs : Illustrate the drawings which won the prizes in the postage stamp drawing competition of International Letter Writing Week 1996, the Ten Jataka Stories Series.